Pure Light Racing is at the forefront in the advancement of adaptive outrigger canoe paddling, as a recreational activity and competitive sport, both locally in Hawaii and worldwide. Pure Light Racing is registered as a 501(c)(3) non-profit organization. Donations are fully tax deductible to the extent permitted by law. October 14, 2017 – Monthly Recreational Paddling continues. Our recreational adaptive program is held on the 2nd Saturday of every month. 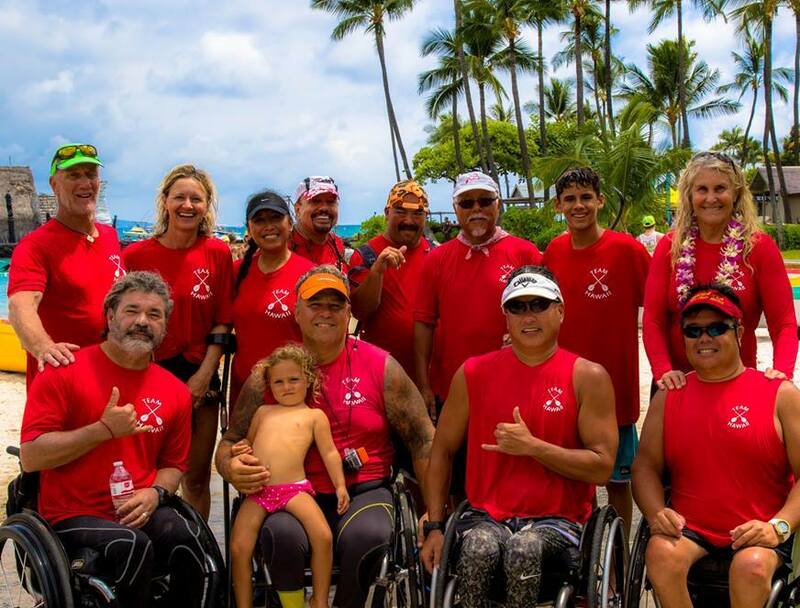 Pure Light Racing organizes outrigger canoe paddling for physically challenged individuals. The paddling sessions are open to anyone with a physical disability, regardless of age, ethnicity, income level or religion. However there is a safety protocol in place, requiring all participants to be able to independently access the canoe and swim unaided. You can help us now with your tax-deductible donation made easy online. "They are pioneering, they open the doors for other people with disabilities and I hope when other people see this... that it inspires them to go beyond their comfort zone, to take that step to the next level." Pure Light Racing is a 501(c)(3) non-profit organization. All rights reserved.